Are you concerned about the increasing energy costs? Make a farsighted choice and choose an energy saving climatic chamber! In the last decades the energy saving subject has become increasingly important as the burning of fossil fuels for power generation is the largest source of CO2 emissions. This gas is now considered the major accused of global warming, thus the topic raised in the agenda of many private and public stakeholers who committed in supporting those companies investing in the use of energy-saving machines. Protecting and preserving the environment is one of ACS highest priorities, which is why, in line with its sustainability policies, ACS has been conducting research and development to reduce energy consumption and to increase the use of ecological and recyclable materials in order to develop products that reduce environmental damages at all stages of the product lifecycles. ACS paved the way to energy saving operations in the environmental testing field in 2004, obtaining flower® patent: the first energy-saving test chamber. What is a Test Chamber and how does it work? Click on the button below if you are interested in a technical in-depth analysis about: all the possible factors that can stress your product, functionality of ACS test chambers, all the sectors in which they are applied and much more. Energy saving up to 70%! An inverter that controls compressor speed and allows the compressor power to adapt different working needs. A “cold sink” to increase the cooling efficiency. 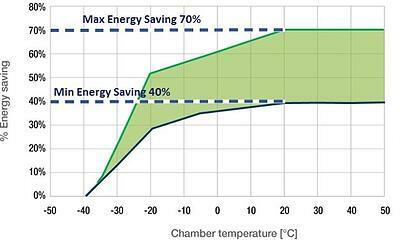 Based on desired test temperature, Energy Saving could reach up to 70%. To find out more about ACS test chambers, read the article written by our team: "What is a test chamber and how does it work?". 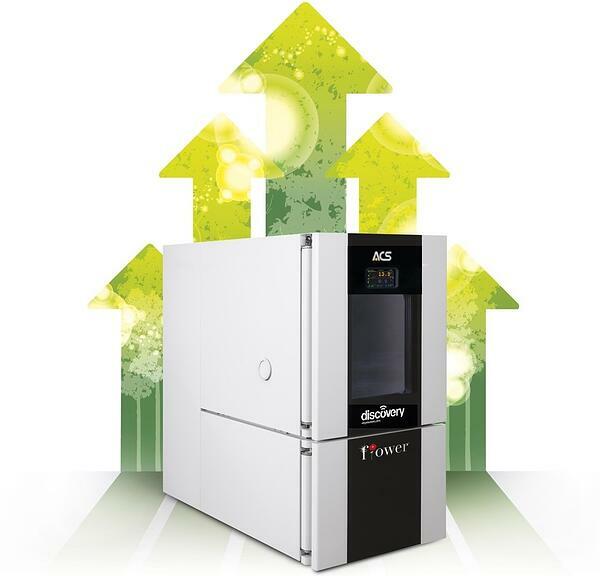 We have tested the New Flower® chamber, comparing results with similar product from closest competitor; the saving is impressive, ACS energy saving climatic chamber shows a great performance at steady conditions and with a 24 hour international standard. 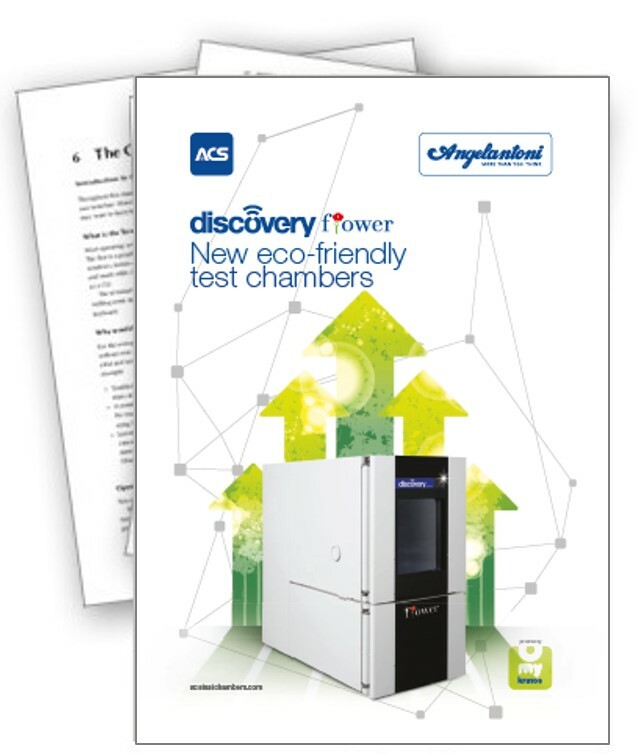 Download the ACS free whitepaper on the energy-saving climatic chamber and discover the advantages in detail by clicking on the button below. 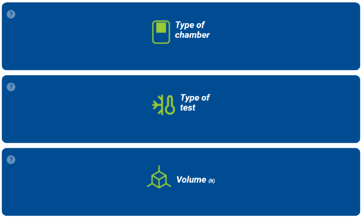 Configure your test chamber online and for free in 4 simple steps. 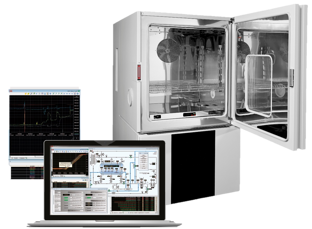 In the configurator website you will discover all the sectors in which the ACS test chamber are applied and you can easily request for free quotation from our team of experts.